UK Home Secretary Amber Rudd has resigned, according to a statement from 10 Downing Street. Rudd's resignation has been accepted by UK Prime Minister Theresa May, according to the Sky News TV channel. May responded she was "very sorry" to see Rudd leaving, according to the TV channel. The Home Secretary was under heavy criticism after a leaked internal Home Office memo revealed that the United Kingdom did, in fact, use targets on migrant deportation, despite Rudd telling the Parliament that such targets do not exist. On Sunday, the Guardian published a letter to Prime Minister Theresa May, in which Rudd set out her "ambitious but deliverable" aim to deport 10 percent more undocumented immigrants over the "next few years." Besides the deportation-target issue, the UK Labour Party urged the secretary to resign over the ill-treatment of people belonging to the so-called Windrush generation, who arrived in the United Kingdom from the Caribbean under free movement policies between the 1940s and 1970s. 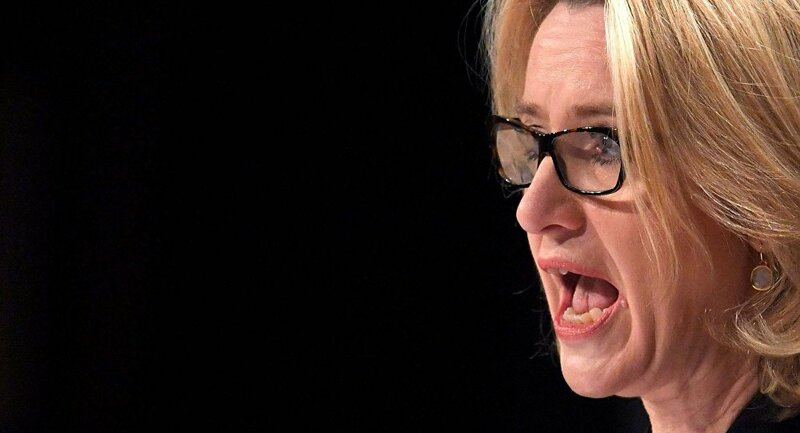 On April 27, Rudd apologized for not being aware of her department’s migrant removal targets and promised to answer questions in parliament the following Monday. But she rejected calls to step down, saying that she would work to ensure that "our immigration policy is fair and humane." Rudd's resignation is the fourth Cabinet departure in six months, following the exits of Sir Michael Fallon, Priti Patel and Damian Green, according to Sky News.